We are a leading Wholesale Trader of flair panel meter, multi-line three-phase panel meter, panel meter, swift elite multi-function panel meter and vu energy panel meter from Chennai, India. Our proficiency in this domain enables us to offer a broad array of Flair Panel Meter. This meter is precisely manufactured at vendors’ end with the aid of highly advanced methodology using the superior quality metal alloy under experts’ supervision. This meter is installed at various devices that display various information. 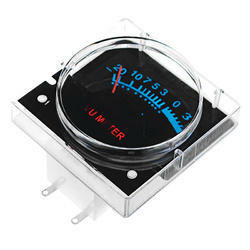 In addition, this panel meter can be purchased at affordable prices from us. Flair is a range of single-function digital panel meters for accurate and reliable measurement of electrical quantities (including voltage, current, power, power factor, energy, and frequency) for industrial and commercial applications. All models are compact, user-friendly and easy to fit into standard panel cut-outs. Fostered with huge years of market knowledge, we are indulged in offering Multi-line Three-phase Panel Meter The provided meter is extensively used for giving accurate meter readings. Vendors’ diligent technocrats manufacture this meter with the help of progressive techniques by utilizing the superior quality basic materials. Further, we are providing this meter at feasible rates to the patrons. 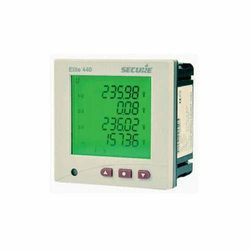 Elite 440 is a multi-line three-phase digital panel meter for accurate and reliable measurement of electrical parameters (voltage, current, power, frequency, etc.) for industrial and commercial applications. It has a large multi-line backlit LCD display which enables four parameters to be displayed at the same time. Modbus communication capability allows easy integration with energy monitoring systems. Expansion modules can be fitted for enhanced system integration (pulse inputs/outputs or analog output and ethernet). 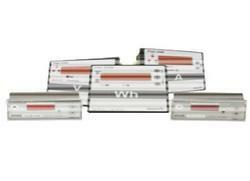 Our immense industry experience enables us to offer a broad array of Panel Meter. The offered meter is fitted with several devices for displaying information. At vendors’ advanced production set up, this meter is manufactured with the help of modern technology using world-class basic materials. 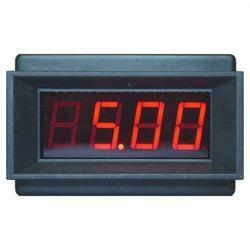 Moreover, this meter is designed in vivid specifications to meet the exact needs of the patrons. 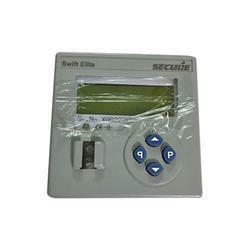 With firm commitment to quality, we are highly involved in offering a wide gamut of Swift Elite Multi-Function Panel Meter. The offered meter is manufactured by vendors’ diligent professionals with the help of latest techniques by utilizing premium quality raw materials. This meter is used to display different information. Further, this meter is made available in diverse dimensions at marginal prices. Can be integrated with most common SCADA/EMS/BMS system. Helps in stocking the meter at OEM/dealer outlets. Meters can easily be moved between panels. Easy integration with programmable logic controllers (PLCs). Helps ensure 'first-time right' installation. Multi-utility application. Energy data aggregation using external pulse counter. Easy integration of multiple meters connected over RS485 network. We are reputed enterprises in this industry, manufacturing and supplying a wide gamut of VU Energy Panel Meter. which are available in various customized sizes and known for there accurate display and Durability.